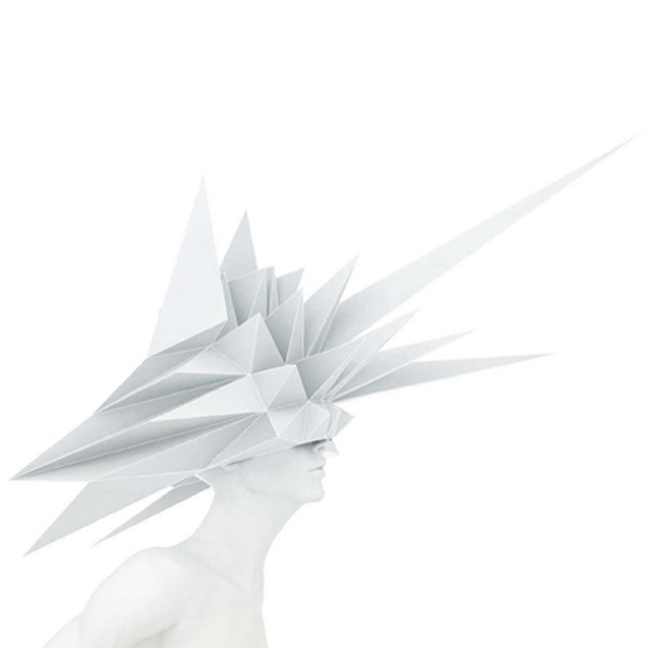 These spiky masks folded from paper by 3Gatti Architecture Studio are designed for customising mannequins in retail displays. ‘This project is born form the increasing demand in the retail world of eye-catching mannequins for the windows display”, 3Gatti founder Francesco Gatti said. “Customising the entire mannequin becomes too expensive if you have to follow the increasing speed of the window display concept transformations, so we thought of a low-cost paper mask to temporarily make your mannequin literally a cutting-edge peace of design“. 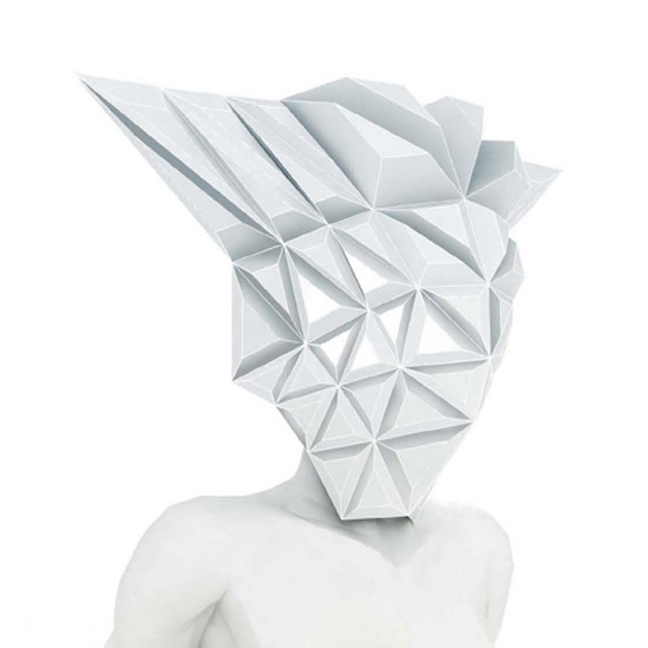 The Masko masks are folded from sections of white paper and attached together using tabs. Simplified 3D models found in computer games were used as a reference for the faceted forms. 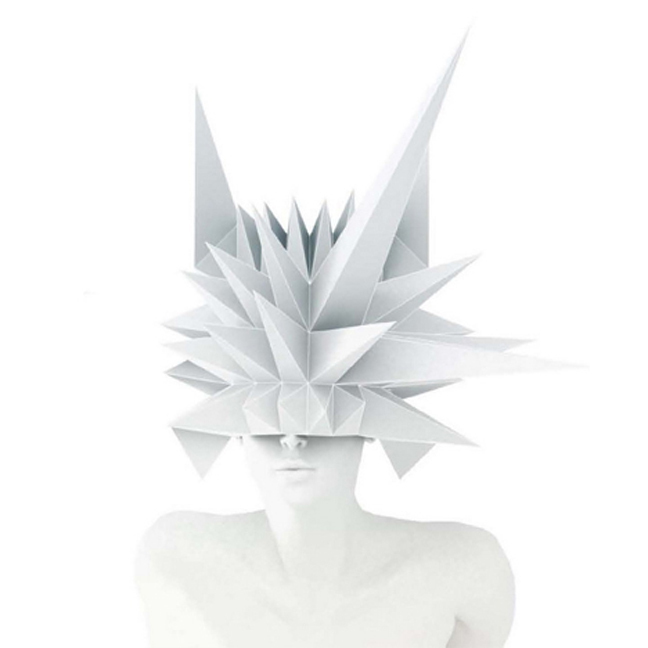 “The translation of this into reality of course has to pass through the art of paper folding and origami“, said Gatti. “In this particular case using white parchment all cut and folded by machines. The result is aggressively edgy”. Triangular and trapezium-shaped sections vary in size and density across the surfaces to create the combinations of protruding shapes. Some of the pieces have extreme spikes extending from the front and back, especially noticeable when viewed from the side, while others designs are flatter and symmetrical. The masks will first be used on mannequins at a store that 3Gatti Architecture Studio are designing in Chongqing, China. The concept behind this design comes from our contemporary life, usually in big metropolis where often you don’t see the people faces because of the anti-pollution masks or simply because we live more isolated from the real bodies and the real life and more and more in virtual worlds such as video games where you see the other always wearing a virtual mask. 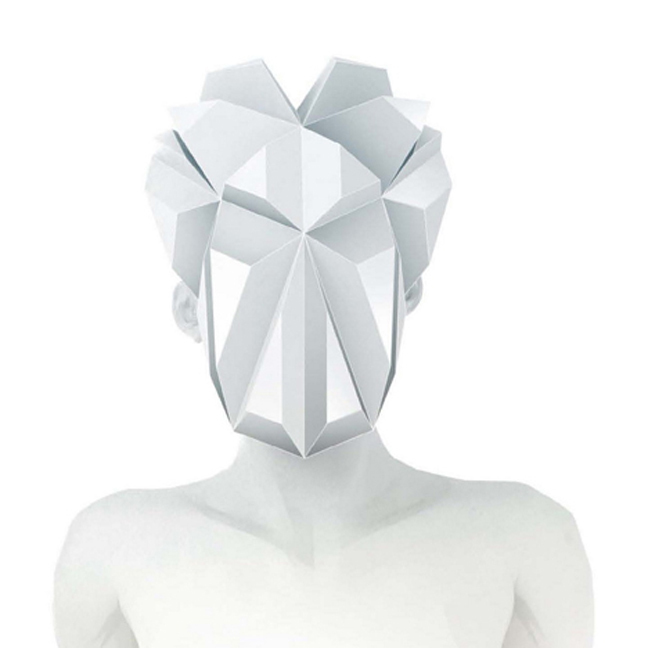 From the video games world comes the inspiration of a polygonal mask, using the same language of the simplified 3D models usually used in the virtual environments to make higher performances in the graphics acceleration.